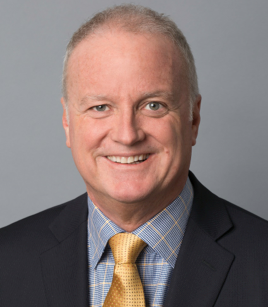 Vancouver, B.C — Cathay Pacific Airways has promoted Ross Cronin to Director, Sales & Marketing Canada, with overall responsibility for the airline’s passenger sales & marketing communication strategies in Canada. A veteran of the aviation industry – Ross has spent over 22 years with Cathay Pacific Airways, most recently as Sales Manager, Eastern & Central Canada overseeing passenger sales for the airline in this important region. He joined Cathay Pacific Airways in Vancouver early in 1994 and, later that year, transferred to the management position in Toronto. Prior to this Mr. Cronin worked in various roles with Air Canada across Canada. Originally from Edmonton, Mr. Cronin attended the University of Alberta and has completed the INSEAD executive programmes in advanced management along with professional development courses at the Sauder School of Business. He will relocate to the airline’s Canadian regional office in Vancouver. “I’m delighted to have the opportunity to lead our team of experienced and passionate commercial professionals,” says Cronin. “Canada has long been an important market for Cathay Pacific and, with our Vancouver to Hong Kong service growing to 17 flights weekly in 2017, it’s an exciting time to take up this role,” he added.